A recent study shows a possible connection between an individual's oral health habits and the possibility of developing dementia during later years. Many studies show a link between poor oral hygiene and the development of Alzheimer's disease and dementia later in life, and this study is just one more in an effort to verify this information. 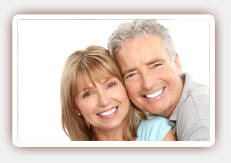 The recent study involved dental habits and dental visits involving elderly subjects. It was found that those who did not brush their teeth at least every day had a much greater risk of developing dementia than those with good oral hygiene practices, with risk higher for men. Other studies also show a link between poor oral hygiene habits and lack of professional dental care to an increased risk of developing Alzheimer's disease or dementia. One type of bacteria that is responsible for certain types of periodontal disease was found in the brains of nearly half of those affected with Alzheimer's. These bacteria can make their way to the brain through the blood stream from underneath the gums, especially those that are prone to bleeding. Keeping bacteria levels in the mouth low can help reduce oral health risks to later development of dementia. 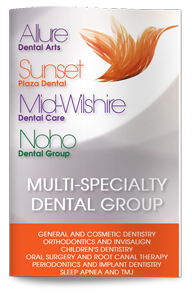 Brush and floss daily and make an appointment with our dentist in West Hollywood at least twice a year for good oral health.